Do you want to export your chrome bookmarks on Firefox? Well, check this quick tutorial to import bookmarks from Chrome to Firefox. Firefox Quantum is one of the latest web browsers available for Windows, Mac, Linux, and mobile devices that promises to be faster and consume less memory than its main rival, Google Chrome, Chrome. So, maybe you want to try it and import your bookmarks from Chrome to Firefox. Google Chrome has gained over the years a vast amount of followers thanks to the multiple features that it has like extensions, themes, and availability, but in recent times is losing some followers because of the high memory consumption. To solve the issue of high memory consumption Firefox works and develop a new faster web browser called Quantum. So, you may have installed the browser, and you notice some improvement, but after a lifetime of collecting web pages and saving them in Google Chrome bookmarks, you probably want to export them to your new web browser. Today I will show you how you can import bookmarks from Chrome to Firefox easily. This can be useful to change your browser or to pass your bookmarks to another account or another PC. The feature of exporting bookmarks is ancient the Google browser, but it is quite hidden. To export your Google Chrome bookmarks, you need to go to the Google Chrome Bookmarks Manager. To do this, you can navigate to Chrome Menu > Bookmarks > Bookmark Manager or use the Ctrl + Shift + O key combination or open a tab and type: chrome://bookmarks/ in the browser. Now on that page, click on the menu button (the three points vertically). This will open the context menu of Google Chrome bookmarks, where the Export bookmarks option is located. This generates an HTML file with all the pages that you have saved, in a standard format that other browsers can import. The last thing you need is to choose the name of the file (if you want) and where you want to save it. By default Google Chrome generates a name based on the date of the day, but you are free to call the file as you wish. Press Save, and you’ll have your bookmarks safe. After installing the browser from the official page, the first thing you should do is import your bookmarks. 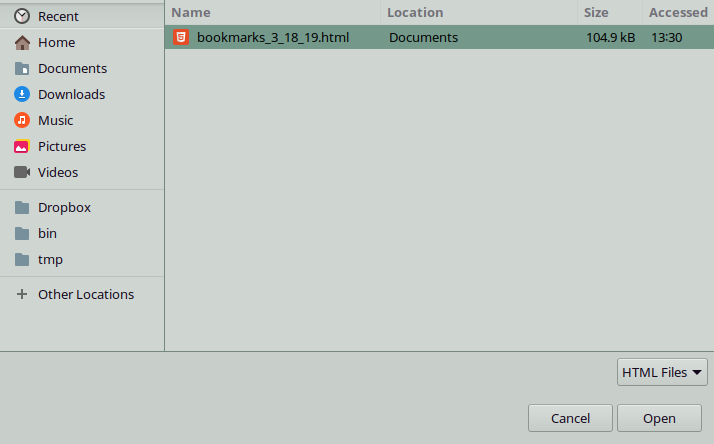 And after you export your bookmarks from Chrome, you can start the process in Firefox. Just access the main menu, click on Library, then on Bookmarks and finally on Show all bookmarks, or press Ctrl + Shift + O. In the window that will open, click on Import and backup, and select Import Bookmarks from HTML… and choose your bookmarks file and done. Another way to import bookmarks from Chrome to firefox without opening Chrome is by using the next option. Open bookmark manager using the key combination Ctrl + Shift + O. Navigate to Import and Backup > Import Bookmarks from Another Browser. There you will select Chrome, although you can also choose Edge or Internet Explorer if you import bookmarks from those browsers as well, click on the Next button and mark the Bookmarks option. Now click on Next and the import will take place. In seconds, your bookmarks will be imported from Chrome to Firefox. If once the process is done you see that Firefox has grouped them in a folder and not in the bookmarks bar, for example, you would have to go back to the Bookmarks manager and organize it in the folders that you want, nothing to hard to do. Google Chrome bookmarks, if you have a Google user account activated in the browser, will be stored in the cloud. 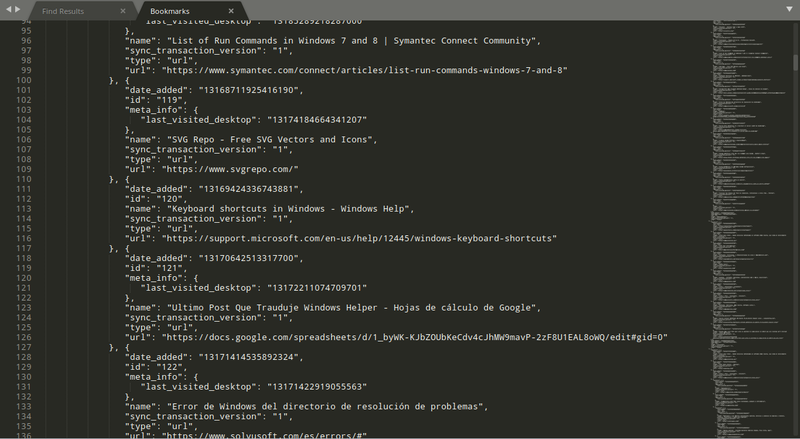 This is why, when you go to another computer and install Google Chrome, and log in with your user account, you will automatically get all the configuration of your browser in the new installation. This is very useful to be able to navigate with ease on several computers with the same browser. But if you want to know where your Chrome bookmarks are precise, I will show you an easy way to find out. For that you will need to get your Chrome path, so open a browser and type the following address in hit Enter. Some page will appear where you will see the Profile path. This will be the route where the Google Chrome settings are stored in your system. 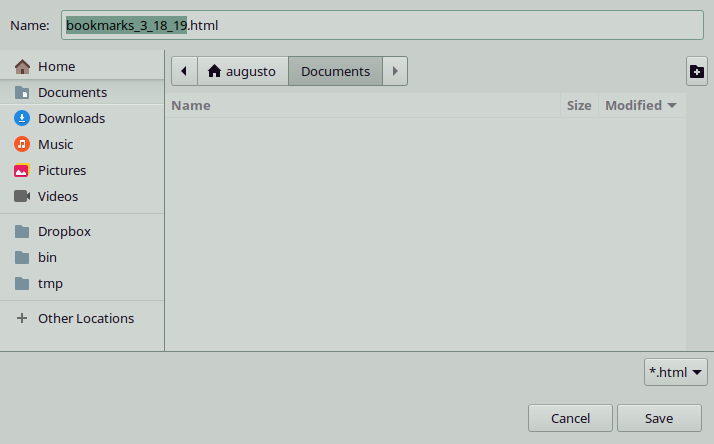 If you follow this route in your favorite file manager, you will be able to see the bookmarks file. The file’s name is Bookmarks. The file will be divided into sections with keys that correspond to each of the directories and bookmarks you have created in the browser. If you delete the content, your bookmarks will be deleted as well. Google Chrome is the most widely used web browser in the world. This browser has about 60% of the market share of browsers. However, some users don’t like how this browser works or are not in favor of Google collecting the information on use that is made of it. When you try an alternative web browser, one of the things you do not want to lose is your bookmarks, the web pages that you have been saving over the months or years. 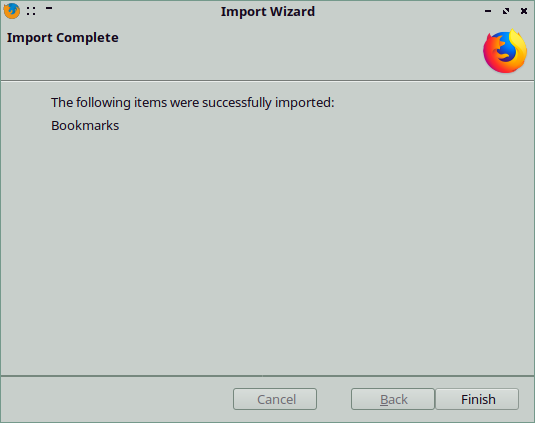 Therefore, in this post, I show you how you can import bookmarks from chrome to firefox easily. Do you know another way to import your bookmarks on Firefox? Let me know in the comments section to add it to the post.